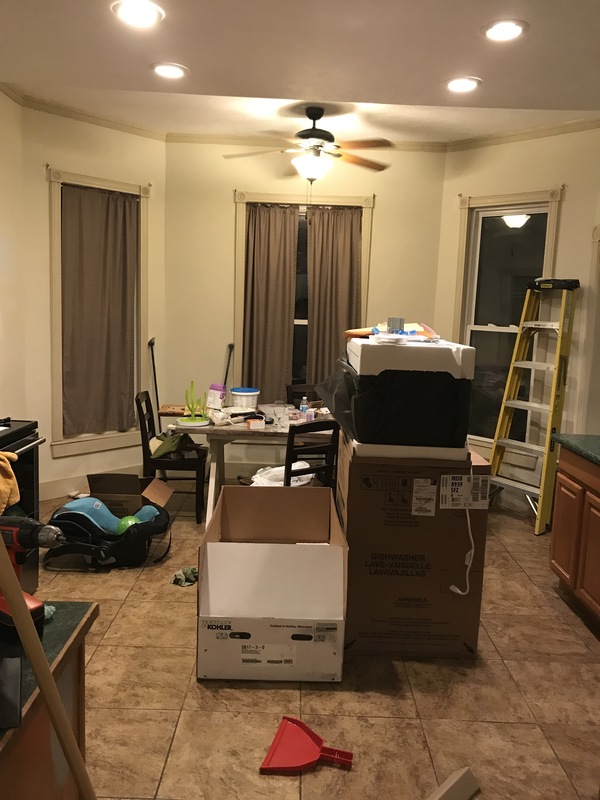 We have started the process of settling into our house after a big move. Our living space is a mess of boxes, uninstalled appliances, power tools, and everything else. It’s a total disaster. It makes me itch. I’m the kind of person who likes for my surroundings to be peaceful and have a semblance of order. I’m not a neat freak by any means, but I feel happy when things are orderly. Dishwasher, microwave, and sink waiting to be installed. We only have the sink left to do. Anyway, in the midst of all the chaos, I decided to paint and dress one of my upper cabinets. 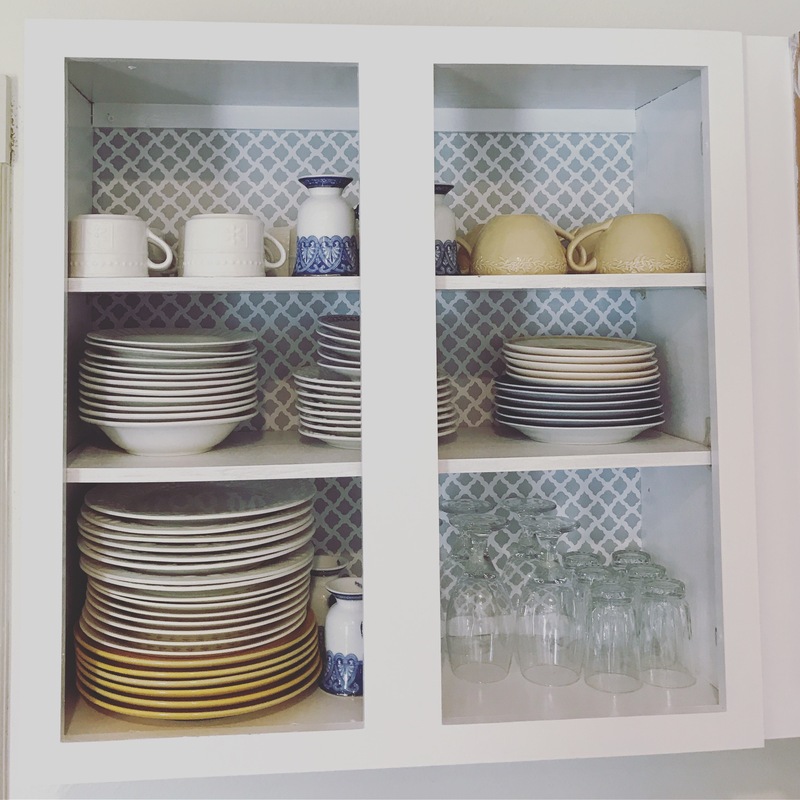 It was an experiment to see how painting my cabinets would look. 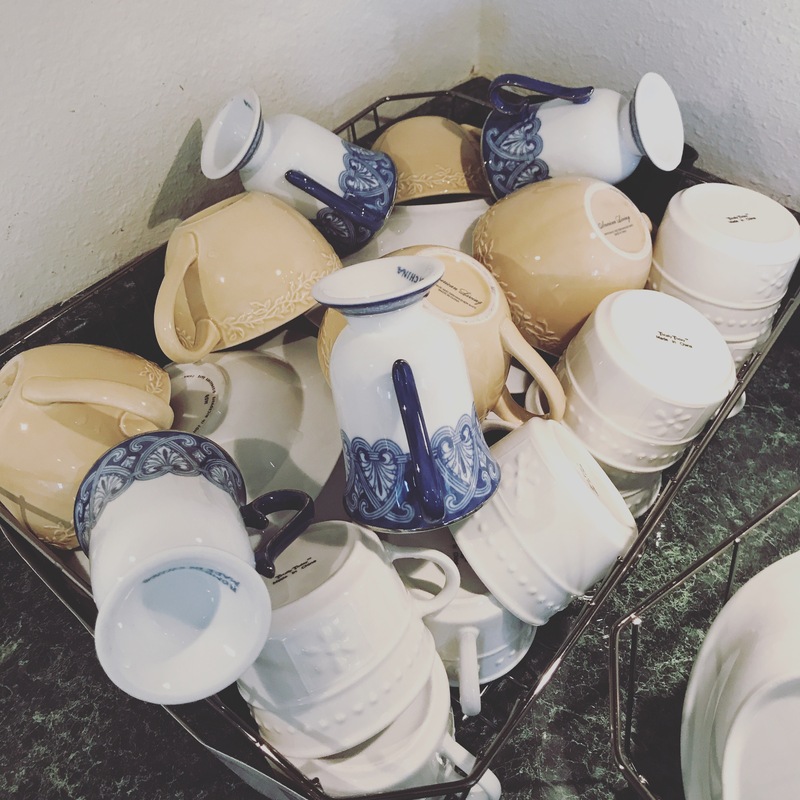 My plan for the cabinet was to paint it and leave leave the doors off so that I could easily display the beautiful set of mismatched dishes that I recently thrifted. I became quite intent that this project needed to be completed ASAP because I needed something that was orderly in the midst of craziness. I’m not really sure why, but seeing the completed project caused me to reflect on the nature of self-care. Sometimes, I think that our culture can be way too utilitarian. We become so single-minded about purpose, form, and function that we fail to take moments to simply exist. Not every moment is about attending to the grand scheme of things. Take care of yourself. It’s okay to make space for yourself.